The most effective way to protect your pet from dental disease is through professional cleanings. We perform thorough cleanings here at Miami Springs Animal Hospital, including the area beneath the gums that you can’t see or access at home. If your dog or cat is found to have gum loss, abscesses or dental disease that requires extractions (pulling of teeth), we can take care of that too. If extractions are necessary, we will give pain medications to help keep your pet comfortable. We offer a variety of at home dental care products that can help keep your pet’s’ teeth clean after the cleaning. 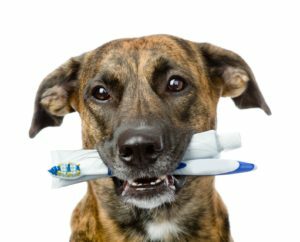 From simple water additives to flavored toothpaste that will make your pet will love to have its teeth brushed, we have many easy ways to help keep your pet’s’ teeth and gums healthy throughout their life.